Freddie Mae Brandon, a 78-year-old black woman, was found dead Friday, March 30, in the 5900 block of West Boulevard in Hyde Park, according to Los Angeles County coroner’s records. About 4 p.m., police from the Los Angeles Police Department’s 77th Division responded to a call of cardiac arrest at an apartment and found Brandon dead inside a bedroom, said LAPD Det. Chris Barling. Brandon had suffered from blunt force trauma, police said. Brandon was pronounced dead at the scene at 4:36 p.m., according to coroner’s records. Brandon’s daughter, Mia Brandon, told The Times that her mother had lived in the ground-floor apartment for 22 years and knew residents in the area and the customers at the liquor store next door. A screen grate on the back door appeared to have been cut, Mia Brandon said, and a dresser had been knocked over. Possessions were strewn about. Brandon said she wasn't sure if anything had been stolen. Freddie Brandon's granddaughter, Rashanda Jones, lived in the apartment with her and was the first to find her after arriving home that Friday. Jones, 26, said her grandmother appeared to have suffered trauma to her head. "I feel numb. That was all I knew, to be honest. She was all I had," Jones said. Born in Mississippi, Freddie Brandon had worked as a waitress long ago and raised seven children as a single mother, said Mia Brandon. 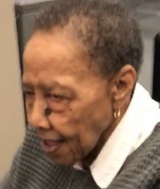 She was given the nickname "Rock Steady Freddie" because she loved to dance, mostly to oldies. "She liked to sit and drink wine and laugh," Mia Brandon said. In recent years, Freddie Brandon had been put on a pacemaker and had suffered injuries. "She couldn't fight back. She was on a walker," Mia Brandon said. "The only thing they robbed my mom for was her life."